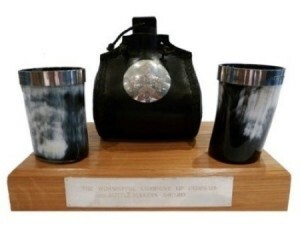 The competition for The Worshipful Company of Horners prestigious Bottlemakers Award in conjunction with the British Plastics Federation (BPF), is now declared open and entries must be received by the deadline of 25th July 2014. Entries for this Award must be a plastic bottle, jar or hollow container, made by any process including extrusion blow, injection blow or injection stretch blow moulding. Entries can also be injection moulding, vacuum forming and for the first time rotational moulded entries can now be submitted. “The Bottlemakers Award is a prestigious accolade with a number of valuable commercial benefits attached. Last year we again saw a record number of entrants all demonstrating high levels of execution and exemplary creativity in design” said Keith Pinker, the Master of The Horners Company. The winner of the Horners Bottlemakers Award 2013 was APPE’s ThermaLite® Hot-fill, Pasteuriseable PET Jar”. The winner will be presented with their Award at The Mansion House during the annual banquet of the Worshipful Company of Horners, one of the City of London’s most progressive Livery Companies. This year’s banquet will take place on 2nd October 2014.